Bachali Kura is also called Malabar Spinach or Indian Spinach and Pui saag in Bengali. It is very rich in iron and protein. There are quite a few dishes made with these leaves like Bachali kura fry, bachali kura pachadi, bachali kura pulusu, bachali kura ava pulusu, bachali kura pappu, bachali kura majjiga pulusu, etc. 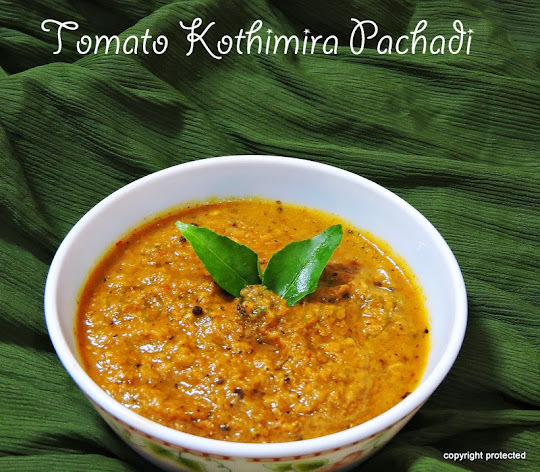 Today's recipe is Bachali Kura Pappu, a traditional Andhra recipe. This is a simple yet tasty dal and with the combo of lentils and protein-rich bachali packs quite a nutritious punch. A must-have healthy dish on your weekly menu. It tastes awesome with plain hot rice and ghee. Heat oil in a kadai and mustard and cumin seeds. Once they start to splutter, add garlic pieces and curry leaves and fry for a few seconds. Take care not to burn the garlic. Add onions and green chillies and fry until the onions turn translucent. Next add the tomatoes and cook until they turn soft. Add the spinach leaves and mix well and let it cook for 4-5 mins until the leaves turn soft. Then add the dal, turmeric powder, chilli powder and salt and mix everything well together and let it cook for about 6-8 mins. Switch off and remove from fire. The dal is ready to serve. 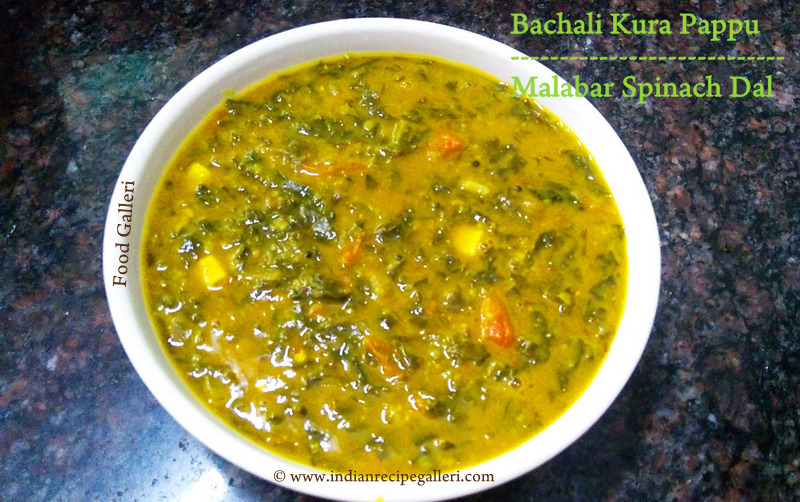 Enjoy the Bachali Kura Pappu with plain hot rice and ghee.